Dr. David J. Kempfert has become a comprehensive clinical therapist with content expertise in orthopaedic, sports and manual rehabilitation. His diversity includes being a licensed physical therapist, occupational therapist and athletic trainer. He is a Board-Certified Specialist in both Orthopaedic Physical Therapy and Sports Physical Therapy, and is nearing completion of his fellowship as a Fellow of the American Academy of Orthopaedic Manual Physical Therapists. In addition, he holds certifications in Manual Therapy and Emergency Medical Response. David Kempfert received his Bachelors of Science in Sports Medicine/Athletic Training from the University of Wisconsin (Oshkosh) in 2013. He is a graduate of the University of St. Augustine for Health Sciences (St. Augustine, FL) dual degree program receiving his Masters of Occupational Therapy in 2006 and Doctorate of Physical Therapy in 2008. His clinical experience includes a variety of outpatient orthopaedic, sports and manual therapy settings. These include: a medical research internship at Gundersen Lutheran Medical Center in LaCrosse; AthletiCo in Chicago, IL where he worked as both a PT and OT; Champion Sports Medicine in Birmingham, AL where he conducted the medical rechecks for Dr. James Andrews medical group; and Concentra Physical Therapy in Jacksonville, FL where he primarily treated members of the armed forces and their families. 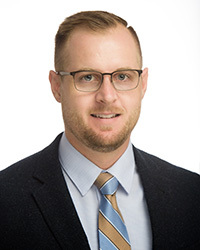 Currently David Kempfert holds a full-time faculty appointment at the University of St. Augustine for Health Sciences teaching the musculoskeletal courses in the resident DPT program. He is also lead instructor for the online musculoskeletal courses held for the online DPT program. Dr. Kempfert is a reviewer for the International Journal of Sports Physical Therapy and a selected member of the Specialization Academy of Content Experts for the Sports Specialty Council. His passions include the delivery of expert, evidence based rehabilitation for post-operative and athletic injuries; as well as being an educator and motivator in rehabilitation and movement science. David is a married to an amazing woman who is an expert in pediatric physical therapy. Together they enjoy spending time with their daughter (Abigail) and son (Gabriel).